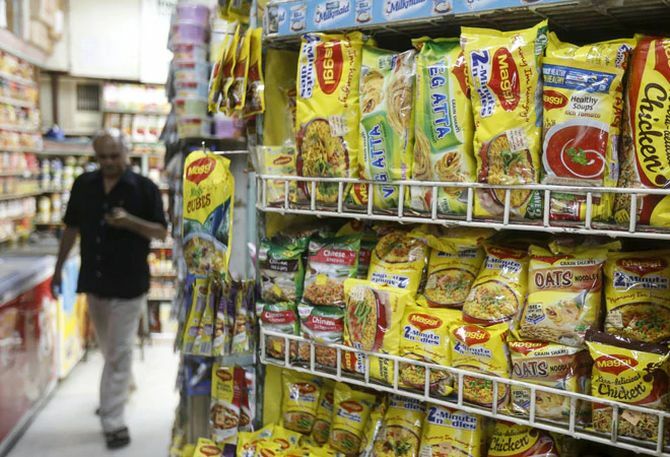 Nestle India's instant noodles brand Maggi has attained over 60 per cent market share and almost touched the pre-crisis level in value terms, said a top company official. However, volume-wise Maggi is still away from the pre-crisis period, when Nestle used to dominate the market with 75 per cent market share. "We are little over 60 per cent (market share). In business terms, we are almost back to where we were (in terms of pre-crisis). In value terms, we are almost back there," said Nestle India chairman and managing director Suresh Narayanan. He further said, "We still have some time to catch up that pre-crisis volume." Presently, Maggi contributes around one-third of the total sales of the company. "Total contribution from the prepared foods (Maggi and Maggi franchise) is about 30 per cent," said Narayanan in a media roundtable in New Delhi. Nestle India had in 2017 crossed the Rs 10,000 crore sales mark. Maggi was banned by Food Safety and Standards Authority of India (FSSAI) in June 2015 for five months for allegedly containing lead beyond permissible limits, forcing Nestle India to withdraw the product from the market. Following legal battles, the popular noodles brand was back in the market in November 2015.